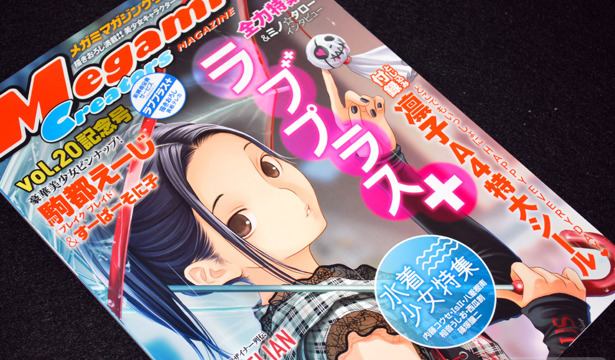 Megami MAGAZINE Creators Vol 21 was released at the end of September, with a new cover illustration by Eiji Komatsu. 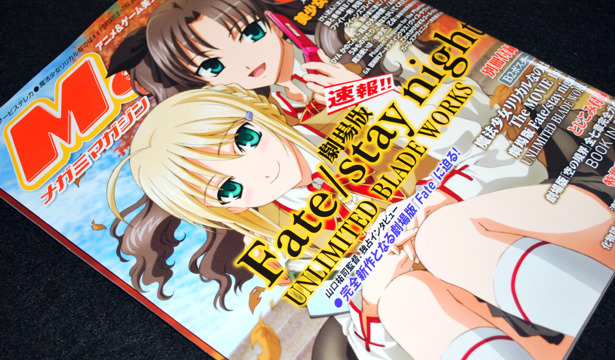 There was only one extra item in this issue, a B2-sized poster featuring the cover art work on one side, and the Girl's Avenue Volume 2 cover art work by Naru Nanao on the other side. 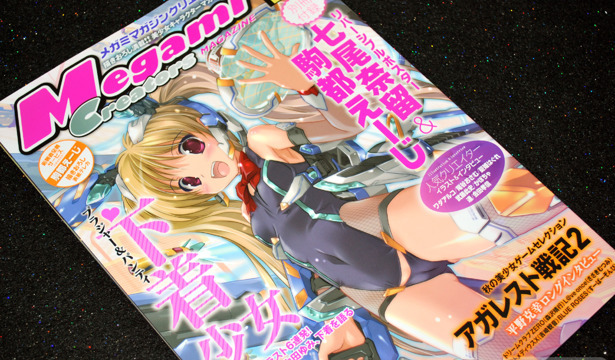 The 20th issue of Megami MAGAZINE Creators came out a few months ago, and marks a milestone of sorts for this quarterly publication. After all, a five-year run is quite an achievement considering the number of magazines that go under each year. 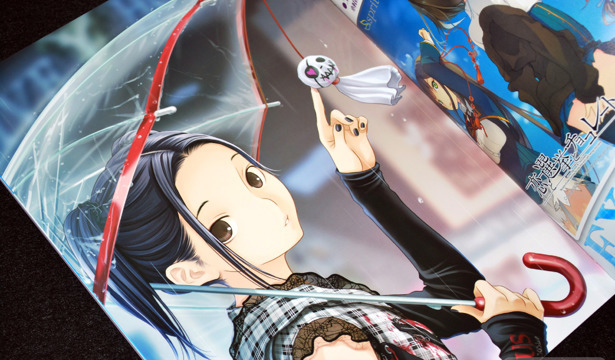 The cover features Kobayakawa Rinko with art work from Love Plus+ and is repeated inside as a giant A4-sized sticker. Girl's Avenue Vol. 1 was not at all what I expected, and that's a shame because my expectations weren't too hard to meet. 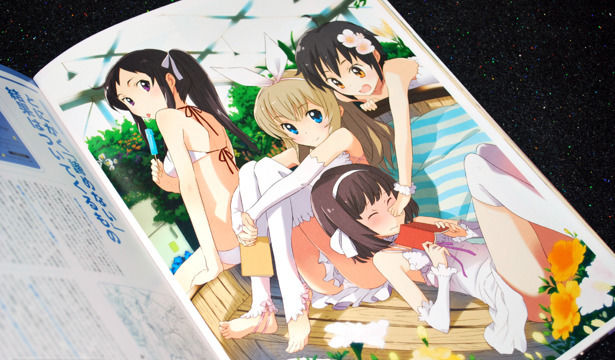 I was expecting a chronological presentation of the first half of Girl's Avenue posters that started appearing in Megami Magazines at volume 15. Instead, what I got was a rather disorganized assortment of selected posters, many of which were from issues as recent as the past year. 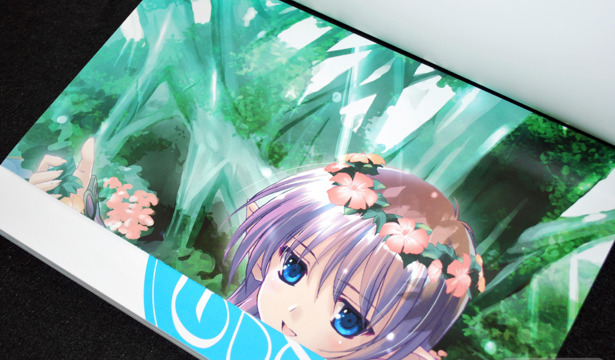 Added into that mix were some of the illustrations that had only appeared in Megami Creators Magazine, so there's plenty of material for them to easily milk this franchise---the next Girl's Avenue art book is already advertised on this one to be released August 2010. 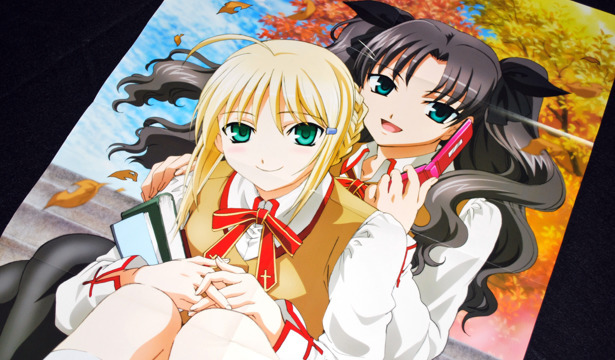 In April 2000, the fourth issue of Megami Magazine came out. 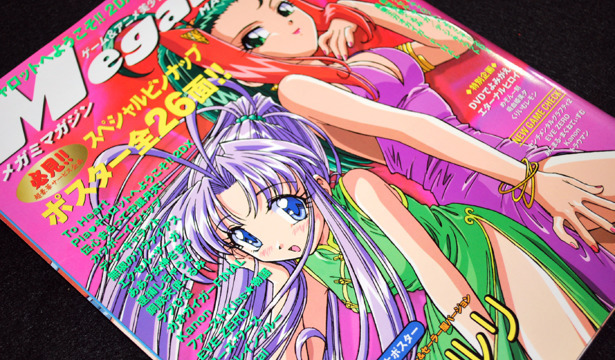 I think it was at about this point that Megami became a better magazine---mostly because it finally had a ton of posters per issue. It was still ironing out a few quirks though; it still contained multiple extra long posters (three and four panel ones) as well as some series repetition (4 posters from Ah! 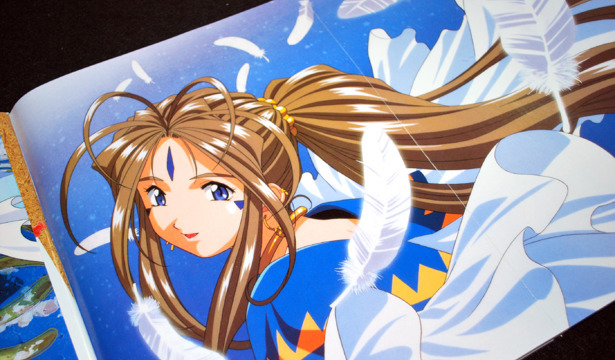 My Goddess).